Solar eclipse is the most exciting and the most unusual astronomical phenomenon ever observed by humanity. A majestic spectacle plays before the observer on a cosmic scale. At one moment, a notch appears on the western edge of the Sun, which increases constantly. In the path of the totality phase, the observer notices that it becomes considerably darker, shadows get sharper and the wind increases, it generally becomes noticeably colder. Birds and other animals calm down and go to sleep. Instead of the round disk of the Sun a narrow crescent illuminates the surroundings and the sunbeams on the trees appear with the form of crescents. The moment comes, when the Sun disappears completely and instantlyand it gets so dark that it is impossible to read a newspaper; the horizon rushes by dawn in a complete circle, Venus and other planets and bright stars appear on the sky. Now instead of the Sun an iridescent pearl crown surrounds a black disk. A short time later, everything is repeated in reverse order. This extraordinary spectacle impossible to forget, it does not occur often, and always occurs in different parts of the world. It was the Greek mathematician, Thales, who luckly predicted a solar eclipse for the first time ever. It was pure luck, because in his times there were no advanced mathematical knowledge for the correct calculation of Solar eclipses. 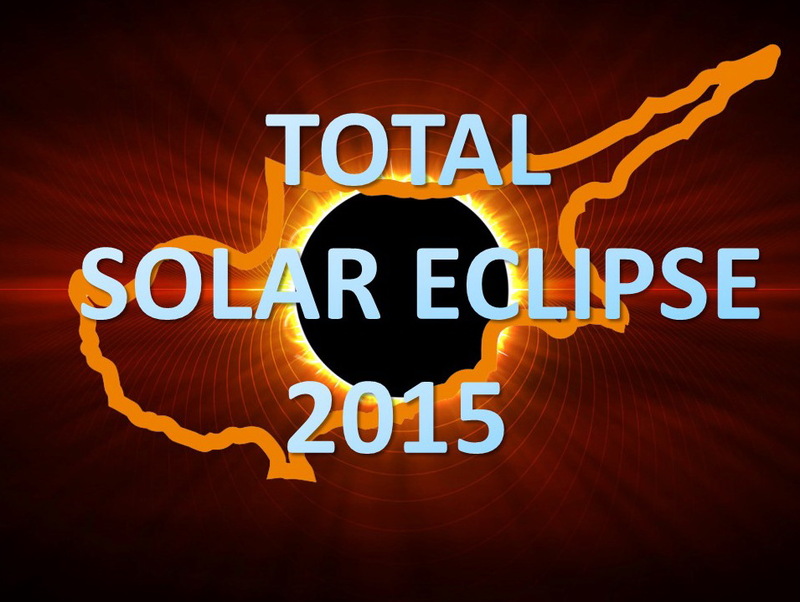 In 2015, again, on the land of the ancient Greeks, partial phases of a total solar eclipse will be observed. The phenomenon will occur on Friday, March 20. 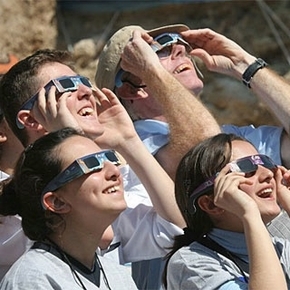 Observations of this eclipse in Cyprus can be conducted with special equipment only. For visual observations by the naked eye it is recommended to use special astronomical glasses for solar eclipses. These glasses securely protect eyes from ultraviolet radiation, the most harmful to the health component of sunlight. Theu are available fo sale at the gift shop of the KITION PLANETARIUM & OBSERVATORY. NEVER LOOK AT THE SUN WITH UNPROTECTED EYES. 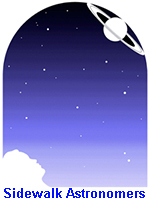 KITION PLANETARIUM & OBSERVATORY will hold a special program for the Total Solar Eclipse on March 20, 2015. 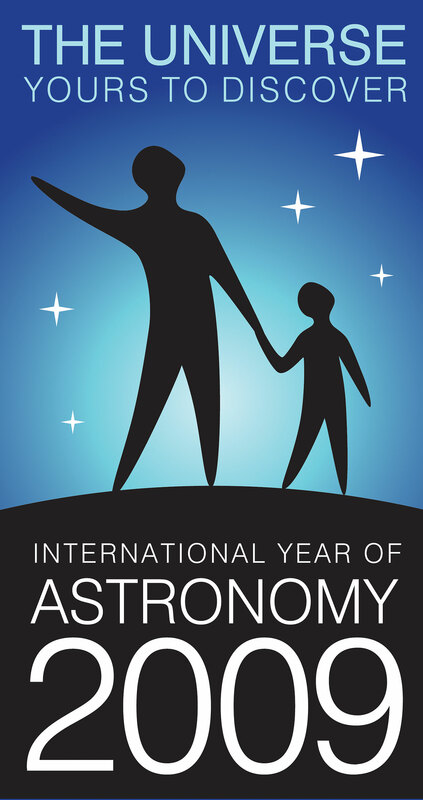 The planetarium program "Solar Eclipses in Culture" will start at 10:00. It will narrate the advanced scientific achievements in the study of the influence and even weaving these phenomena in outlook of terrestrial civilizations. The first contact of the Solar eclipse will occur at 11:05 am and visitors will be able to observe the eclipse through a professional telescope with the appropriate Solar Filter. It is a powerful professional Schmidt–Cassegrain telescope with an 8 inches aperture and is probably the most powerful telescope in Cyprus used for public observations on regular base. Guests will observe a sharp uneven edge of the lunar disk which will slowly move against the background of sunspots. 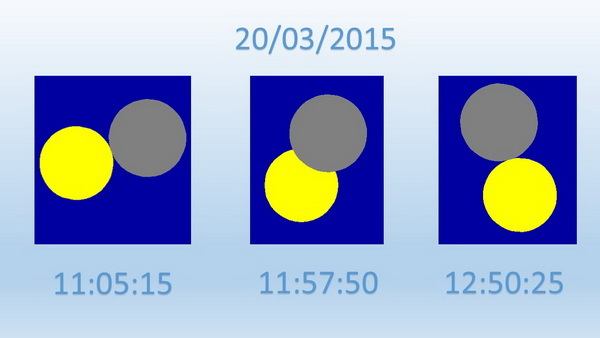 At 11:57 phase of the eclipse will reach its maximum of 0.23, i.e. about a quarter of the solar disk will be hidden. 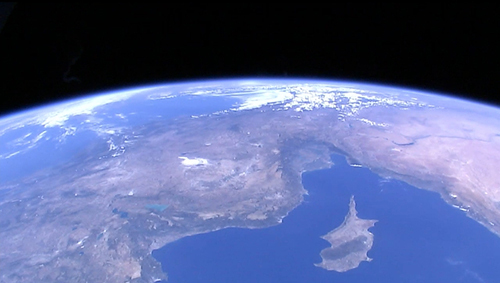 During the last (fourth) contact at 12:50 pm, the lunar disc will descend from the Sun for observers in Cyprus for 5 years until Sunday morning, June 21, 2020. Booking in advance for the program is recommended.